Barcelona winger Ousmane Dembele is enjoying having five-time Ballon d'Or winner Lionel Messi as a team-mate and said the Camp Nou superstar "makes football easier." Dembele, 21, is enjoying a much-improved second season at Barca and told the club's official website just how much it benefits him to have a player so talented alongside him in attack. He said: "It's great, he makes football easier. I give him the ball and he does incredible things. When he's on the pitch it's easier for a forward, because the rivals focus mainly on him." Even Messi has his bad days at the office, however, and the Argentina star passed up the opportunity to secure a 2-0 victory with a missed penalty late on at the Camp Nou. He scored the only goal with a spot-kick earlier in the match. Not sure if the focus is on the Champions League or his injury or something else but Messi just does not look like he wants to be there today. 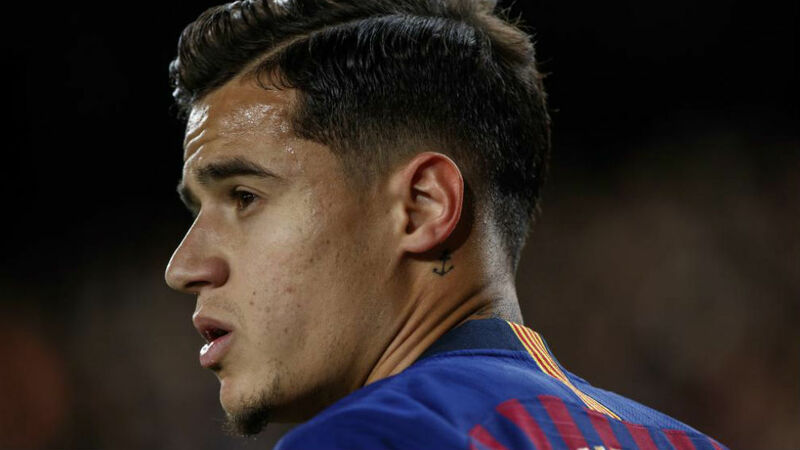 After struggling during his first campaign in Catalonia, albeit he was not helped by a serious thigh injury, the France international illustrates on a near-weekly basis why he belongs among the European elite. 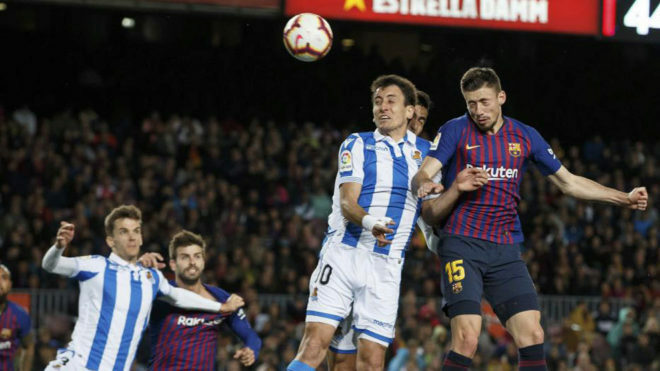 Dembele has netted 13 times in 29 matches this season—eight in La Liga—and already beaten his previous best for goals scored in a senior campaign (12). He's also scored more than three times as many goals for Barca as he did in his first season at the club (four) despite playing only six matches more. The Blaugrana lead La Liga by seven points and have hopes of winning the Copa del Rey and UEFA Champions League crowns, with Dembele and Messi set to travel to Lyon in the round of 16 on Tuesday.